As the Doha Development Round trade negotiations have stalled, bilateral and regional free trade agreements have become an important alternative. These agreements have proliferated in recent years, and now all of the major trading countries are engaging in serious bilateral and regional trade negotiations with multiple trading partners. 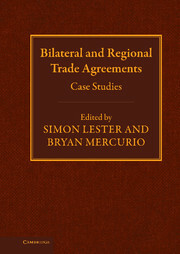 This book provides a comprehensive study of recent bilateral and regional trade agreements.